We all have those friends. They listen to bands we’ve never heard of, always look fabulous (even though they could care less about the latest trends), and their social media is full of pictures from spontaneous weekend trips or the concerts they attend. But what gifts are fitting for these friends? Below is a list of items available for purchase from your local downtown businesses that will please even the most blissfully non-materialistic person. Ask any music aficionado and they’ll tell you all about the plight of local record shops. Use the holiday season to support your local store! 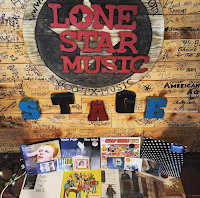 You can purchase e-certificates to Superfly’s Lone Star Music Emporium (https://www.lonestarmusic.com/index.php?file=giftcertificate) and give the gift of music. Who doesn’t love a good succulent? These little guys are always dependable gifts. Not only are they beautiful, but also easy to care for. Head over to Bloom Bar to check out their selection. El Nido (Daughter of the Wild Creations): hrystal Jewelry Do your friend's chakras need aligning? Can't find the correct gem for your spiritual needs? Go see the "Daughter of the Wild" at her studio, El Nido (Located above Bower Bird). She will set you up with the perfect gift that will leave your friends feeling the good vibes. Alternative natural medicines abound in Little Shoppe of Health. Essential oils make fabulous gifts. With many varieties to choose from, you can select the perfect blend of scents that fit various needs. Good vibes, great coffee, artisan flavored liquors, and fresh food all 24/7? Yes please! 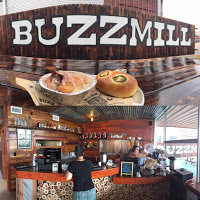 Head over to Buzzmill and get away from the stress of mainstream life. While you’re there, pick up a gift card for the coffee loving night owls in your life. We all have a friend that somehow always looks fantastic without spending massive amounts of money on clothes. Their secret? 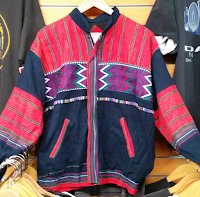 Great thrift stores like Vagabond. Head over to this resale shop for awesome finds that can be worn anywhere from the club, to the campsite.